Financial Freedom: Why we should examine Values of a corporate ? Now a days, values are not prominent in life and business- people have forgotten it and same is the case of companies too. but, the real value creators will leave a legacy in the world. Great business men lead companies with ethical values and standards. Such businesses become steadily growing and financially strong in the long term. 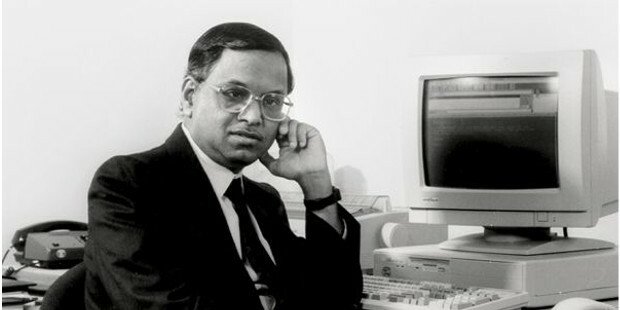 Few historical examples are: Infosys, the Tata group, Maruti.In 1990, N.R.Narayanamurthy came up with the IPO of his company Infosys and many people were reluctant to invest due to the nascent stage IT sector in India. Infosys became one of the giants in IT industry, employing more than two lakh people, raising the promoters to billionaires.An investment worth INR 10,000 in the 1990s would have become INR 4 crores by now.Tata have faced many difficulties like huge debt accumulation in Tata Steel and Tata Motors, but managed to rise over all of them. Tata Motors acquired top automobile brands such as Jaguar Land Rover. Visionaries never aim to be the Number one provider of products or services. Their objective is to survive in the environment for the long term like many decades. Two and half years back, stock price of Maruti had fallen from Rs.4700 levels to Rs.3409. Now, the stock trades at 9000 levels. Pick ten cars on the road in random and you find that 6 are of the Maruti brand. The Maruti Swift Dzire is currently the highest sold passenger car in India, taking place the record of Maruti Alto.The Key Reason behind their market leadership is created by ‘value-for-money’ proposition. The company embraced new technology and design in due time and surpassed previous leader Ambassador. Their satisfied customer base has referred more new customers too. If a company focuses on creating the best products and services,success will follow. In value based investing, we need to look deeply into the benefits of the products and services of companies. If the product/service looks exceptionally good than expected, it will massively attract consistent rise in aggregate demand.This will move forward the business to the next level of success and expansion. The Royal Enfield story is another perfect example. At a time when people flocked to Hero Honda and Bajaj showrooms to buy 100 cc bikes, Royal Enfield saw disappointingly lowest sales figures only. The company then innovated their models to suit the youth and even made major tweaks. Sales then soared and reflected in the stock prices as well- a rise from about Rs.1500 in 2012 to 32000 levels in last 6 years. Major thing to know the values of a company is to know the promoters and the top management.Their ethics and values- along with their experience in the industry will play a crucial role in creating the future. When a company has strong morale and ethics, it ensure value for money and satisfies customers, and grows in time without doubts.